In today’s digital world, IT leaders are striving to master a software-defined approach to business that enables faster application deployment and meets ever increasing end-user expectations for always-on data availability and instant access to information. Traditional data center infrastructure is expensive, inefficient and difficult to manage, forcing IT to look for more agile, scalable, and cost-effective solutions that drive innovation and align with the demands of business. As a pioneer and innovator of hyperconverged infrastructure, Pivot3 was founded on the idea that the traditional data center could be radically simplified by unifying storage, compute, networking and virtualization resources into a powerful, easy-to-deploy solution that reduces costs, IT complexity, and organizational risk. Today, Pivot3 has more than 2,000 customers in 53 countries with over 18,000 successful deployments. Most HCI solutions are limited to basic data protection schemes that impact capacity utilization and system performance which keeps customers from realizing all the benefits of hyperconvergence. Pivot3’s smarter infrastructure for the software-defined data center offers patented erasure coding, distributed scale-out architecture,and a Dynamic Quality of Service (QoS) engine to maximize resource utilization,deliver high availability that performs, and prioritize performance and data protection to the applications that matter most to your business. No other hyperconverged solution can offer this combination of efficiency, protection and performance. What Makes Our Infrastructure Smarter? Patented erasure coding technology delivers the highest storage utilization and data protection in the industry. Optimized to use a fraction of compute resources to run and bypasses the hypervisor to support more applications. Based on VMware vSphere, management is made easy via a vCenter Plug-in for single-pane-of-glass management of HCI and flash arrays from one console. 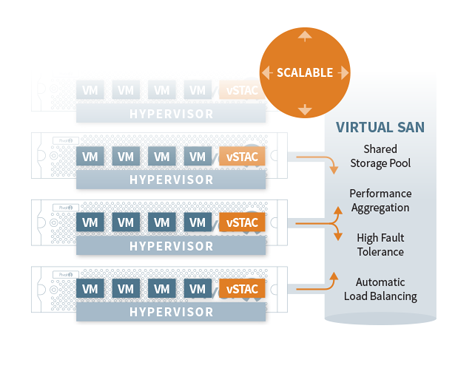 Unique architecture unifies resources from each node in the hyperconverged cluster to deliver performance at scale. 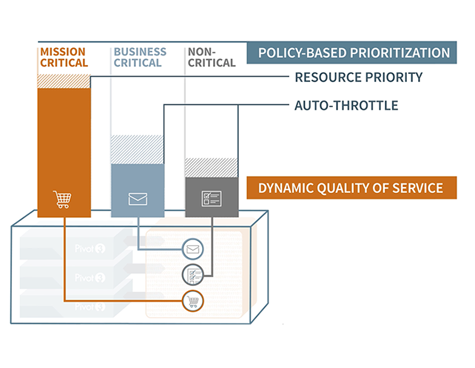 Policy-based quality of service engine ensures predictable, guaranteed performance and protection for applications based on business priority. Multiple platforms and form factors available for HCI deployment and seamless integration of existing servers, storage and applications.